GeoSLAM™ ZEB-REVO – Utility Mapping Services, Inc. 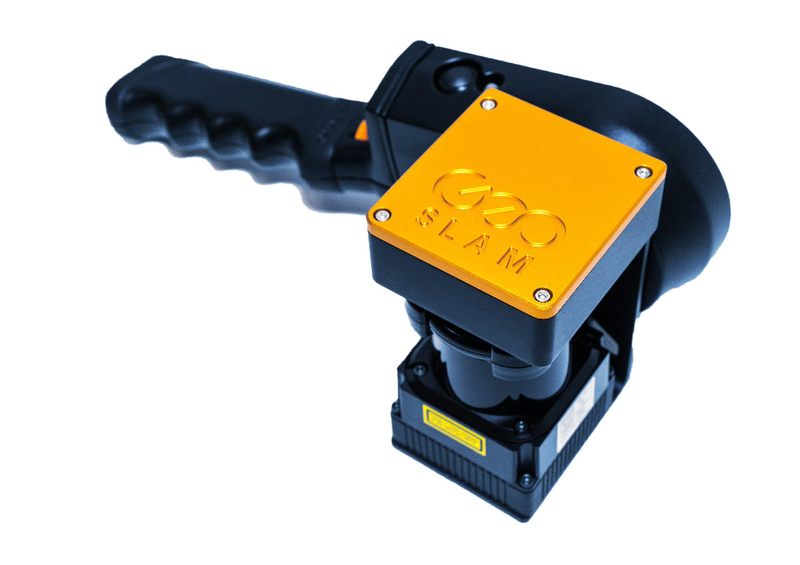 The GeoSLAM™ ZEB-REVO is a lightweight, handheld laser scanner which is highly mobile. The versatile technology is adaptable to any environment, especially complex and enclosed spaces, without GNSS. The 100Hz surveying system includes scanner, data logger and accessories – all that is needed to accurately scan and capture data. 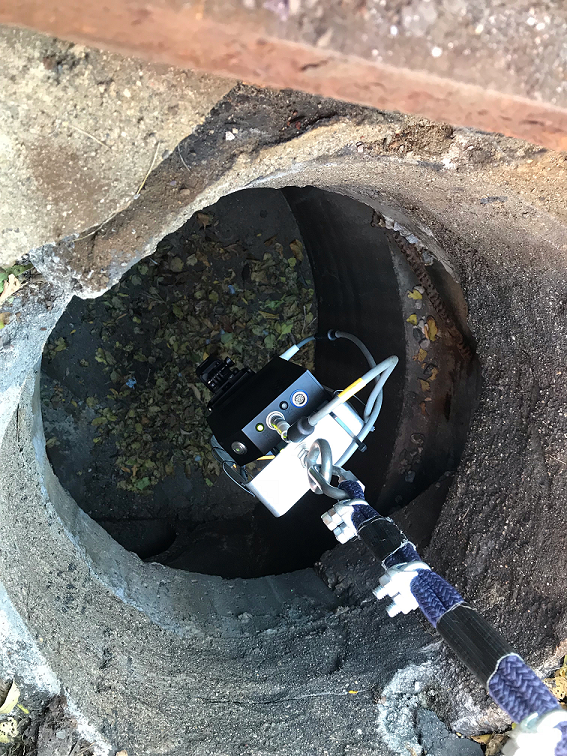 ZEB-REVO scanning inside a manhole. Note that scanning can occur without entering the confined space. UMS often needs to gather utility position information in hazardous complex and difficult to access spaces. Often there is limited or no GPS coverage (such as in manholes). Often we have a very limited time on site to accurately create a 3D model of those utility facilities, i.e. manholes within a busy thoroughfare. 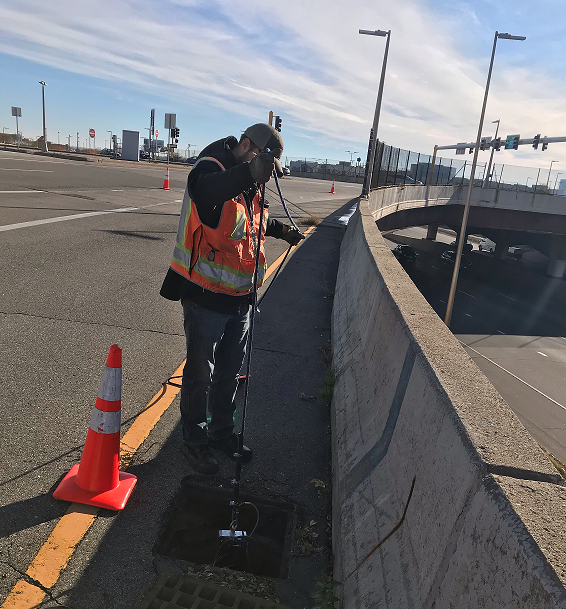 Access to this user-friendly technology that can quickly scan multi-level environments and produce accurate and high quality data is a game-changer for UMS. 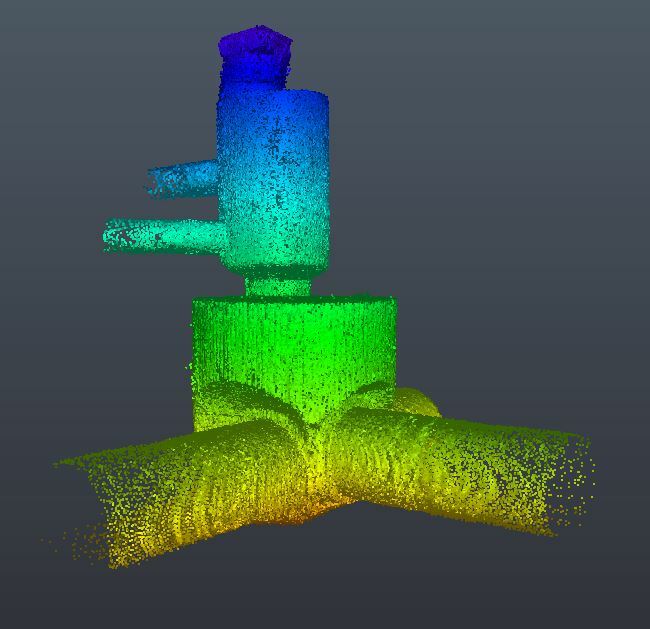 The result of a ZEB-REVO laser scan of a manhole.